Do you long to grow your wealth, improve your quality of life and experience freedom of choice? It’s time to take charge of your financial future with MyConcierge! We believe prosperity is an attitude, not simply a destination. So, we’re at your service to help you discover — and ultimately realise — your full financial potential. Rest assured you’re in good hands with a complete catalogue of industry-leading, expert financial support available under the one roof. What can you expect as a valued member of MyConcierge? Providing a “holistic” approach to financial wellbeing, we explore matters such as investment, taxation, property, mortgage and more, and tie it all together to help create YOUR unique big picture. It’s the catalyst you need to activate your prosperity. With MyConcierge you’ll be informed, assisted and supported, so you and your money can work smarter, not harder. 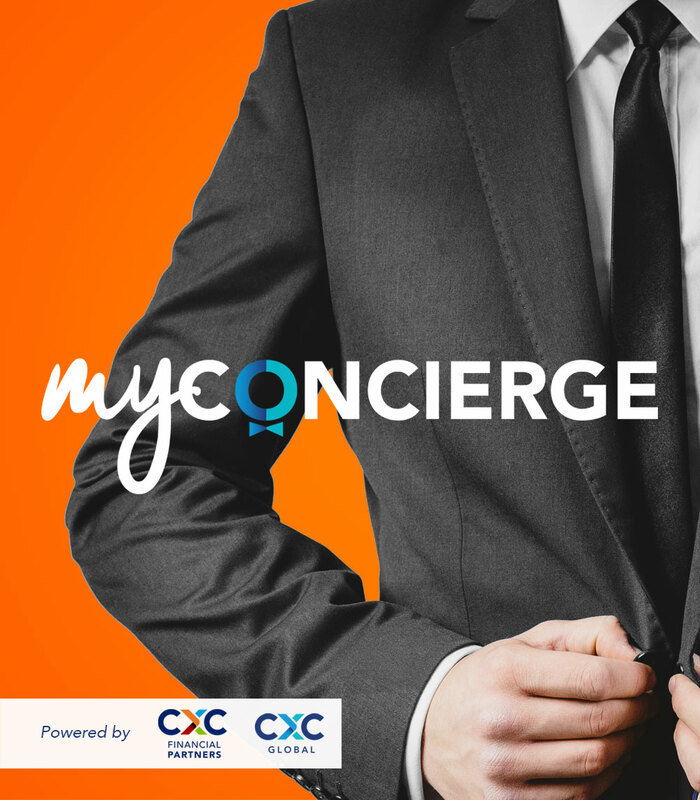 What’s more, MyConcierge is a free service for customers of CXC Financial Partners and CXC Global. It’s just our little way of saying “thanks” for your support. MyConcierge provides the tools you need to define your goals, explore options, find the right solutions and guide your efforts – all in the name of building positive momentum towards a truly prosperous life.